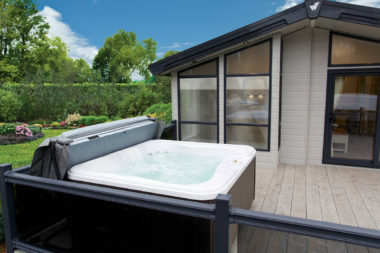 The popularity of hot tubs on holiday parks is on the rise, plus they can be the perfect way to relax and unwind when on your static caravan or lodge holidays. If you rent out your lodge, a hot tub can also be a great addition to attract guests, but you’re going to need a decent sized verandah, plus some screening. But they’re not for everyone, and are something else to upkeep and maintain. In this month’s community poll, we’d like to know if you have a hot tub at your static caravan or lodge or perhaps are contemplating buying one? Simply choose from one of the options below and let us know your reasons why you do or don’t have a hot tub. We’ll report back the results next month. As always, feel free to add any of your hot tub tips or comments in the box below. The caravan behind ours has a blowup hot tub & the noise from the children using it was horrendous last year.Lets hope the complaints will be taken on board for this summer. hot tubs require running 24 hours a day to avoid any build up of listeria and legionaires infections and most blow up spas have the cheapest noisy pumps and equipment so are not a sociable item in any circumstances.